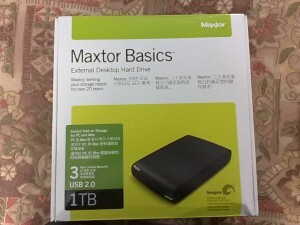 Last week I bought a Maxtor Basics 1 TB Hard Disk online as my 500 GB Western Digital MyBook Essential HDD was out of free space. The Hard Disk was available for Rs. 5890 on Ebay and I had a 5% off voucher which reduced the final price to Rs. 5500 which is about 200-300 bucks cheaper than the street price in Mumbai, so it was a good steal which didn’t even require me to move from my chair. 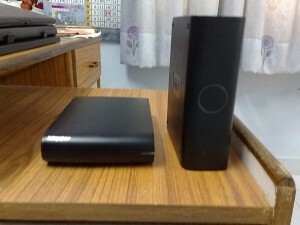 Since I already have a WD MyBook Essential 500 GB hard disk, I couldn’t help but compare the two. The Box contains the Hard Disk, a USB Cable, Power Adapter, 3 detachable plugs, a Quick Start guide and a 3 year warranty card. 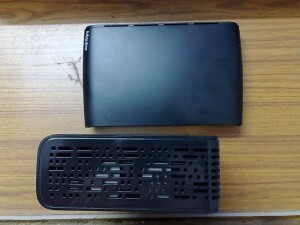 With size dimensions 203 mm x 44.5 mm x 127 mm, the Hard Disk is smaller than the MyBook Essential but is slightly heavier. The only way you can connect the Hard Disk to a computer is by using a mini-USB cable. 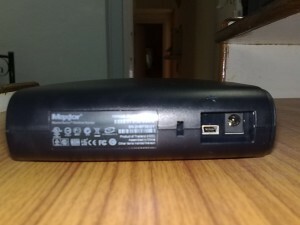 It supports USB 2.0 and offers upto 480 MBps which is decent. The spindle spins at 7200 RPM and I was even able to play OpenArena straight from the hard disk without any lags. Although many people complain the disk is very noisy, mine is very silent. The Hard disk is already formatted in NTFS and the actual free space available is 931 GB. Even when the disk is empty, Windows reports that 93.5 MB is being used and that doesn’t disappear even after a complete format. 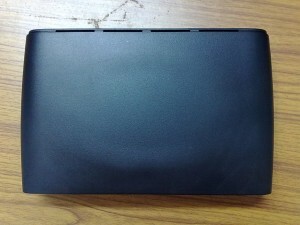 Unlike the MyBook Essential which has surplus holes to dissipate heat, the maxtor disk just has a few gaps at the top-left and bottom-left edges and as a result, the disk tends to get hot very quickly. Since there is no rubber layer at the bottom, there is no grip and the disk is very slippery and even a slight jerk can cause it to move so you might want to think twice before you put it near the edge of a table. The disk has been crammed into a small cover which results in a very noticeable elliptical bulge at the bottom of the disk cover. 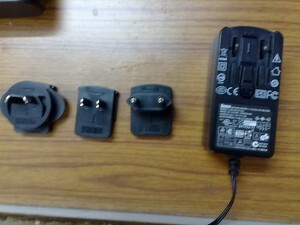 The best thing about the hard disk is that it allows you to use 3 different types of plugs with the power adapter. 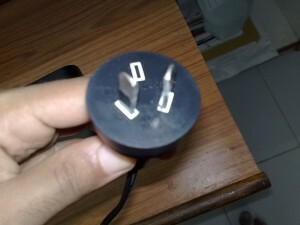 I find this very useful because even though I bought the WD MyBook Essential from a WD shop in India, it comes with a 110V adapter and I have to use it with a 110-220V converter every time to use it in India. The Maxtor disk on the other hand has two 110V plugs and a 220V plug which means I don’t need a converter anymore. Since it requires a mini-USB to USB cable which is easily available, you can even use your cell phone or mp3 player’s cable to use the hard disk. For its price, the Maxtor Basics 1TB is totally worth the price and doesn’t disappoint. It’s even smaller than most of the other 1TB hard disks. If you’re looking for a cheap solution to backup your music, photos and CDs, Maxtor Basics is your best bet. 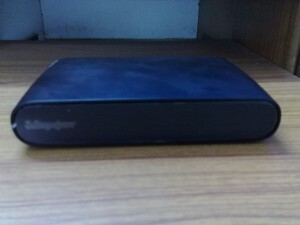 You did not consider Seagate FreeAgent External??? That would be way cheaper. 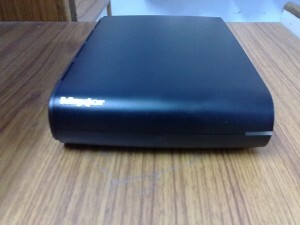 hi i too bought this hdd only mine is the 500gb version……my opinion is count yourself lucky for the 3 yr warranty. mine was 350 gb full and has gone bang and has to be RMA’d. everything on it was lost and it has somehow formatted itself to something called raw…evry time i try access it it says something about an i/o error. i cant even rip it open to try see if there owt i can do because it will void the warranty…..when it is returned they say i WILL NOT get the same drive back and if i want data recovery i have to pay $799 which in english is about £550. just to recover the data from a drive that cost me £70. my advice is sell it and buy something more reliable…..i used this drive as my back up and now have lost everything on it….people say back things up….well i did and got burned on the back up….just cant win sometimes….sorry for ranting…just my 2p worth….